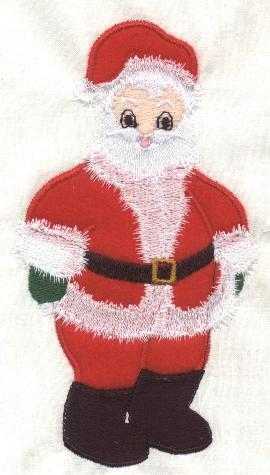 Now available for the 4" and plus hoops! 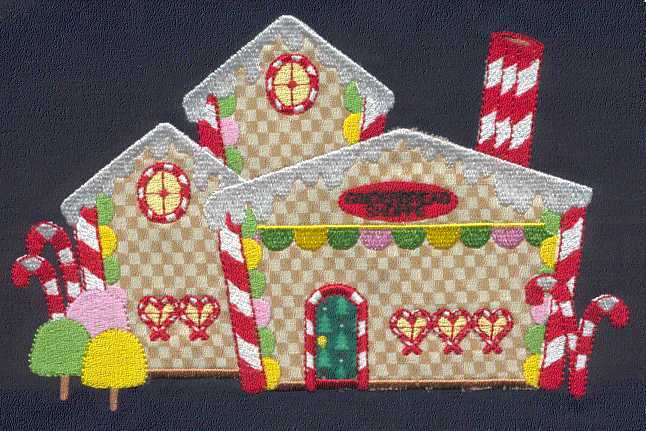 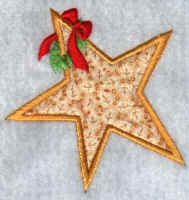 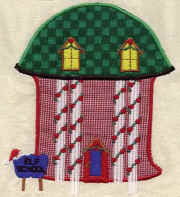 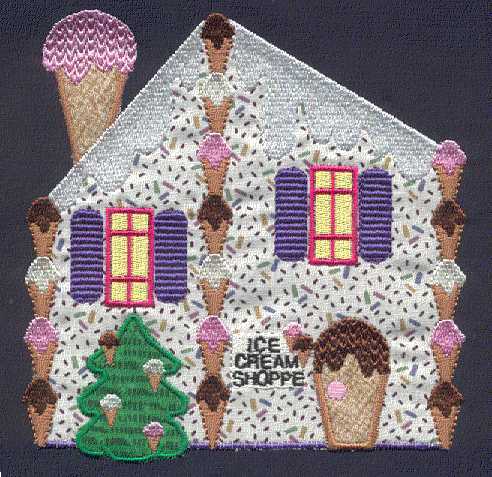 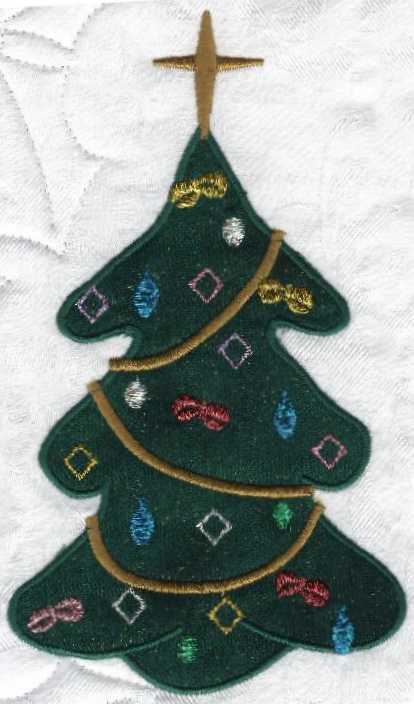 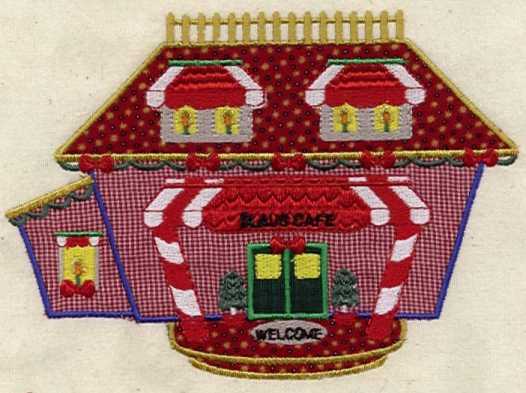 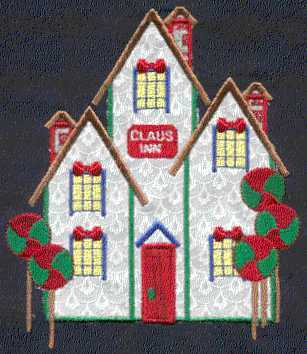 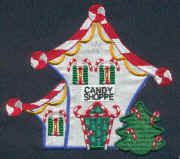 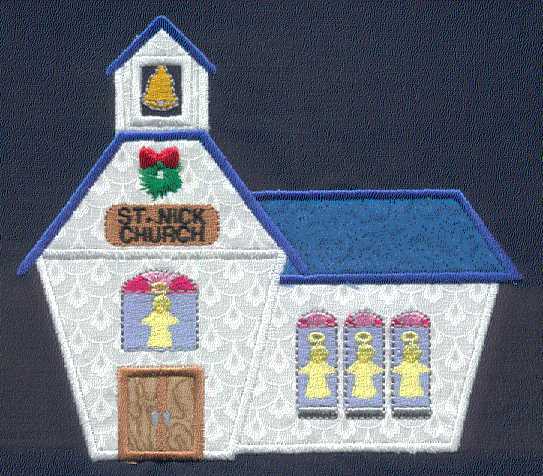 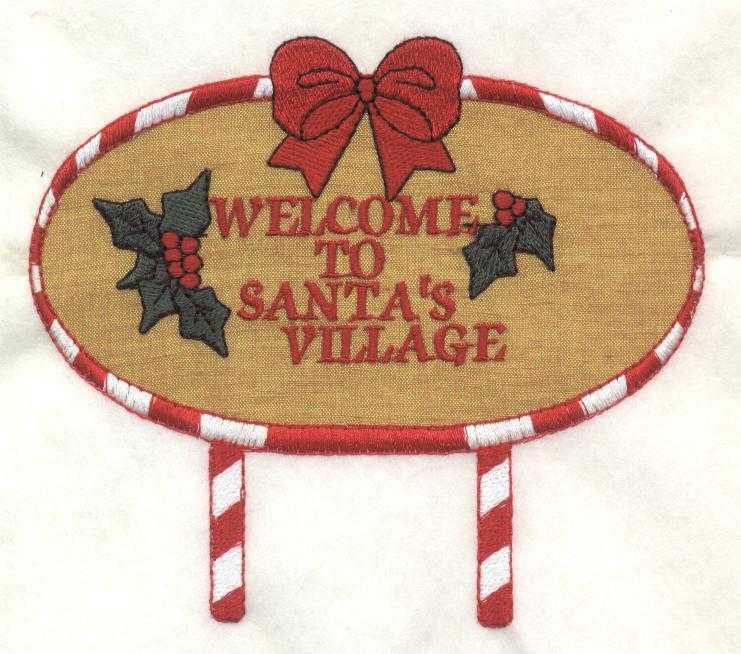 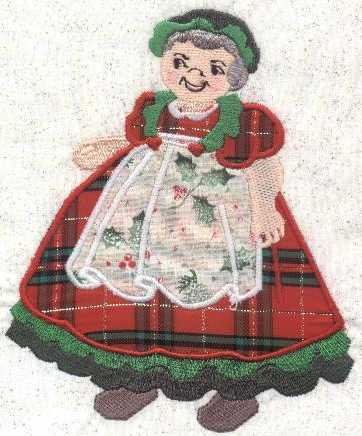 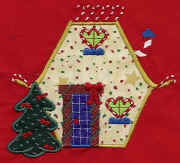 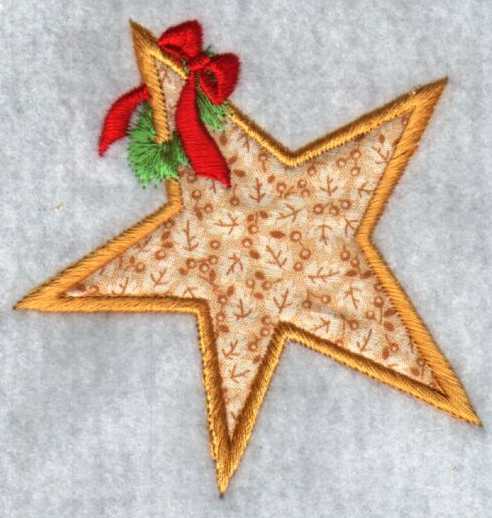 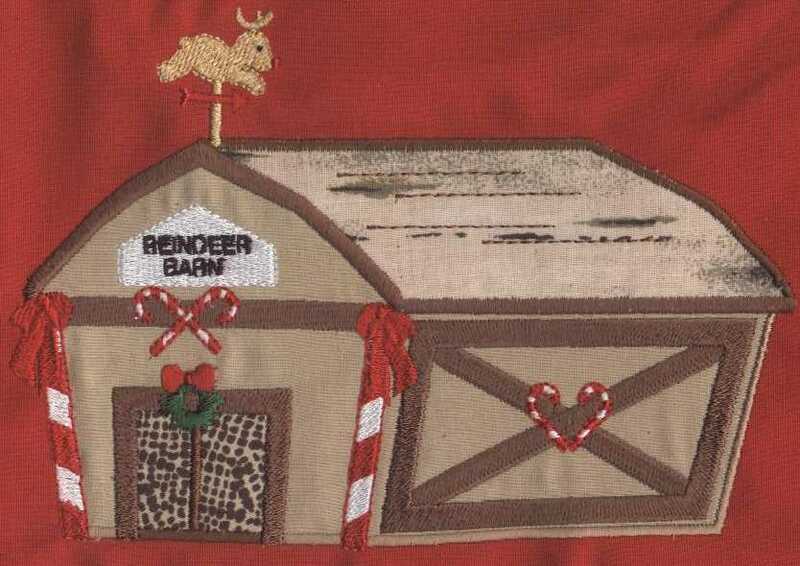 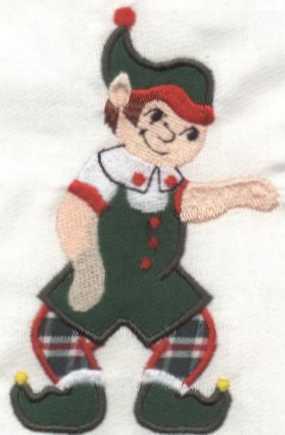 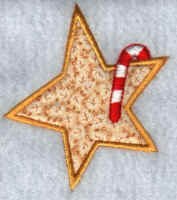 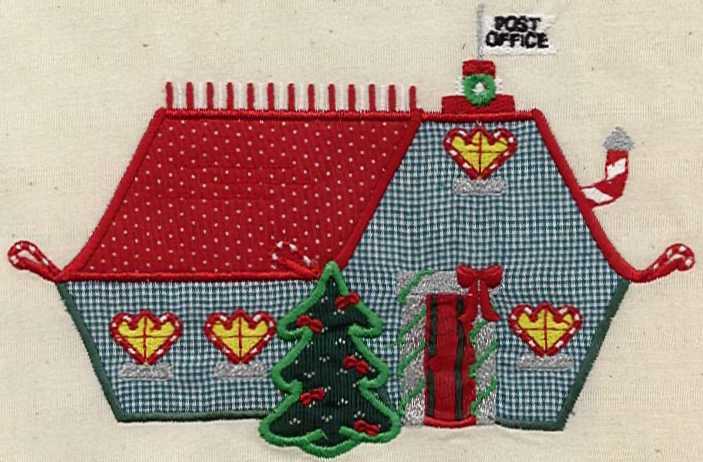 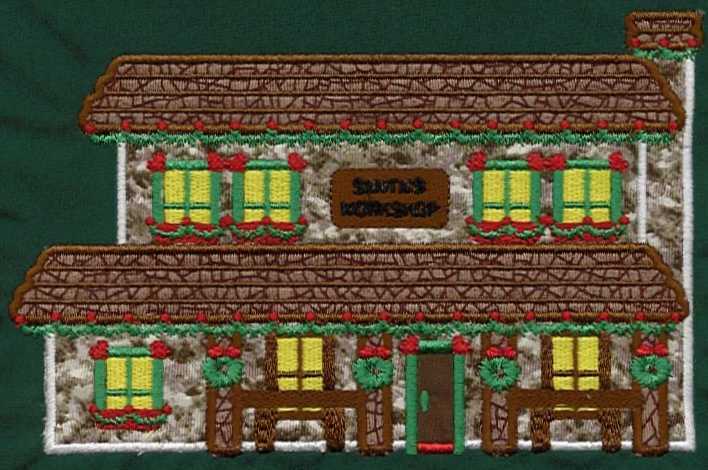 This collection includes 12 appliqué houses, plus the free one, and assorted accessory designs. 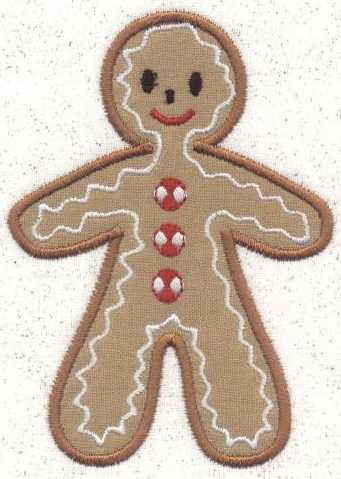 It would be perfect for all kinds of holiday projects! 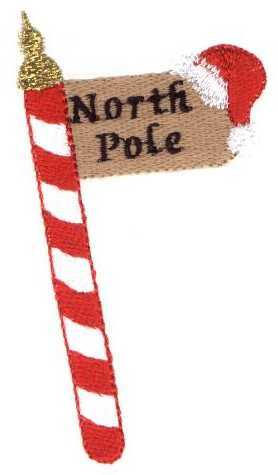 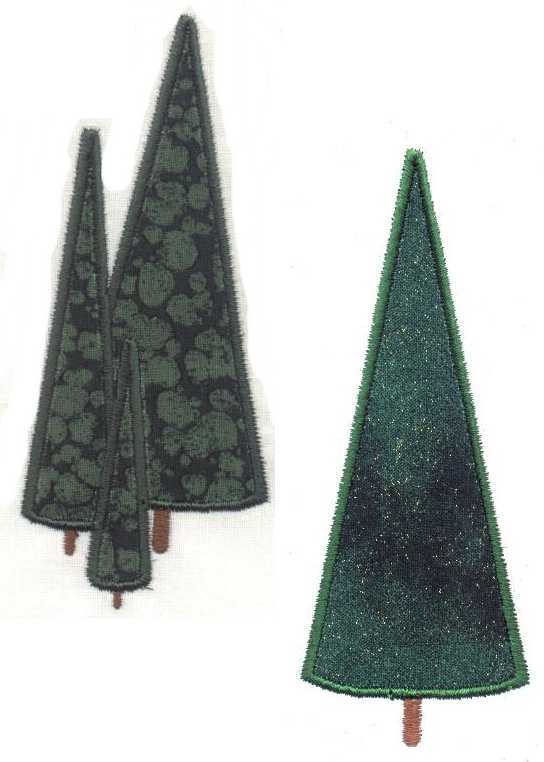 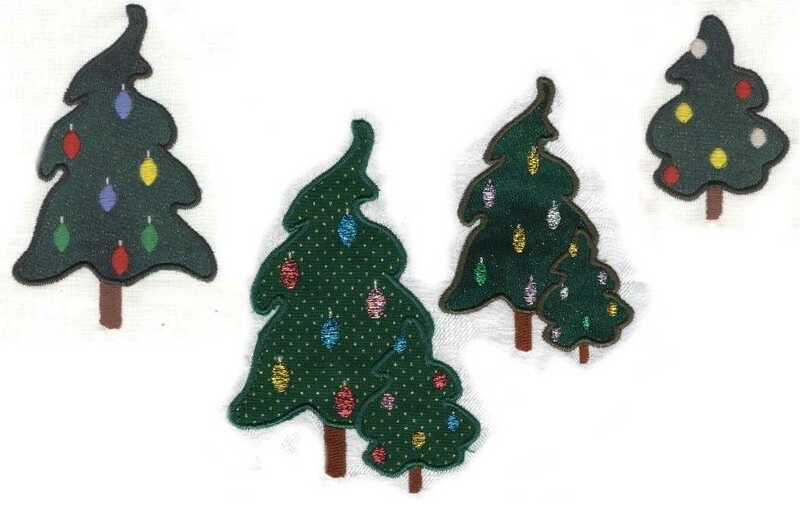 Tree skirts, wall hangings, placemats, FTT's , table runners, you name it! 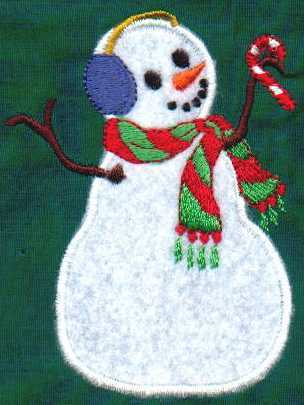 Complete instructions included. 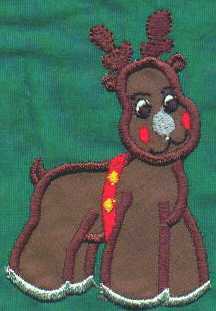 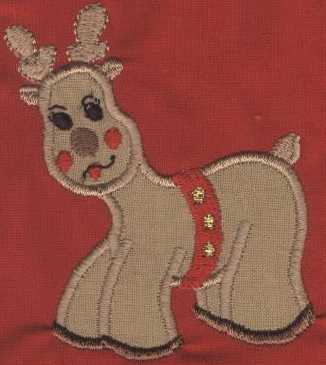 See large Santa Sleigh companion design below! 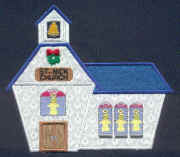 The price of the 5x7 collection is $65. 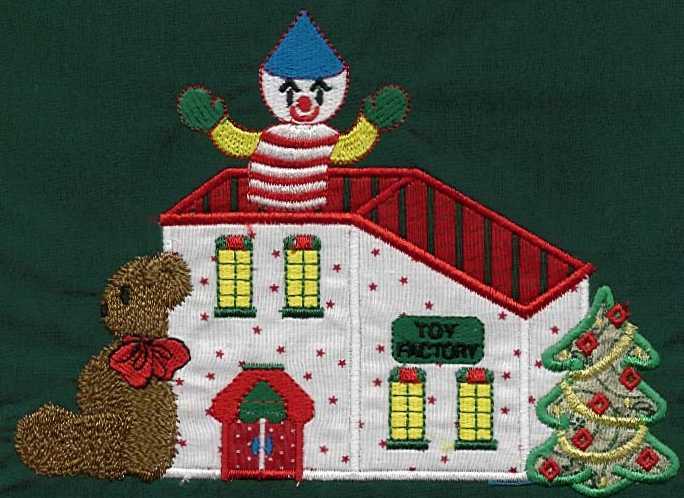 The 4x4 version is $50. 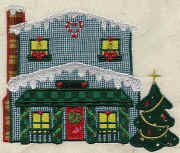 See below for special combo pricing. 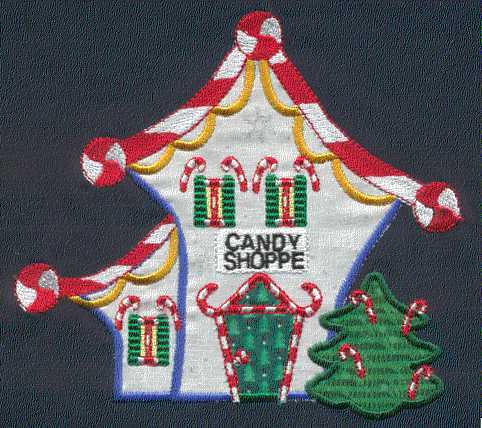 Click on the button below your machine format to place this collection in your shopping cart. Please be sure to read the Ordering Info page.